Zebra 5555 Standard Wax-Resin Ribbon, 4.33 Inches x 98 Feet, 10 Rolls per Case. For use with the Zebra P4T/RP4T Mobile Printers. 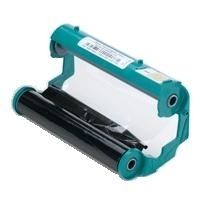 A Wax/resin ribbon for printing barcodes on coated paper. Provides a clear image under harsh conditions. Prints at speeds up to 6 inches per second.